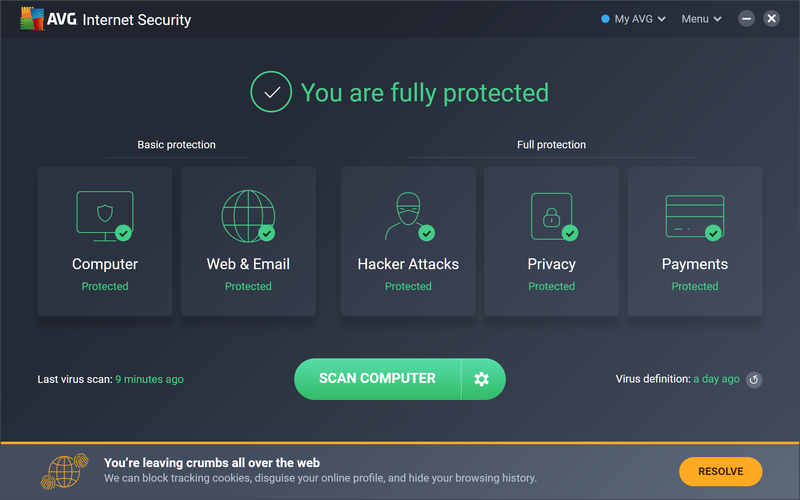 AVG Internet Security 2019 is the companies second release since the company was acquired by AVAST. What the security aims to achieve is blend the best technologies from each company. For example, the engine is AVAST, but the "Software Analyzer" heuristics come from AVG, and you also get AVG's ZEN device manager. The new release gets real-time protection against zero-day malware via "CyberCapture, the company’s proprietary, cloud-based smart file scanner." A new online shield blocks access to malicious links and websites. 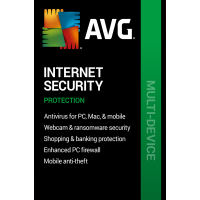 You're now able to install and run AVG Internet Security alongside other security products. The program automatically installs using a new "Passive Mode" to avoid any conflicts or issues. A new Secure DNS feature verifies a website's address using secure DNS servers to prevent redirections to fake sites. The program still offers all the regular malware detection and blocking features of previous editions, and a revamped interface makes it easier to explore and use. The new "Software Updater" tool will check for new updates to installed software and will either recommend you upgrade or will download and install automatically, in the background. It's worth noting that AVG Internet Security 20199 now includes an "unlimited" licence when you purchase the commercial version. This enables you to install and activate any device you own, including Mac and Android devices.